It was on the very first day of my first Alaska adventure that we saw some splashes from afar. 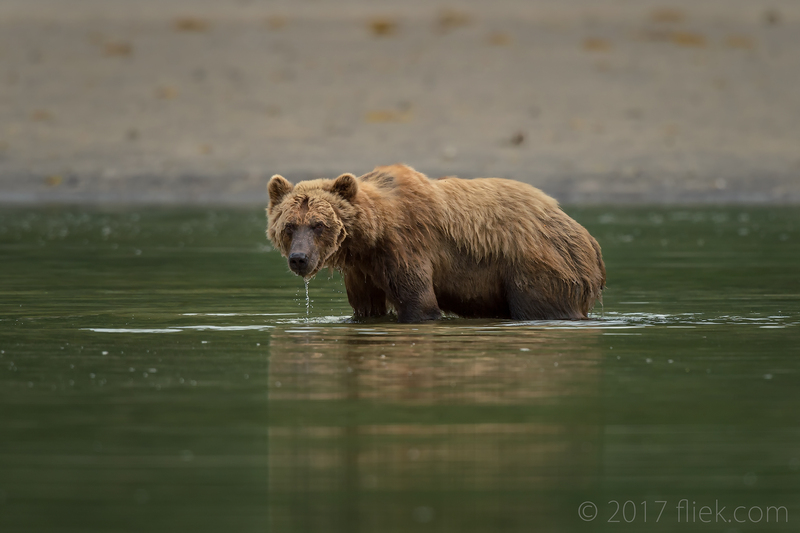 We had been cruising in the morning across the Katmai inlets and some of my fellow photographers had gotten so bored they were starting to shoot the waves off our boat (not exactly what anyone of us travelled for…). 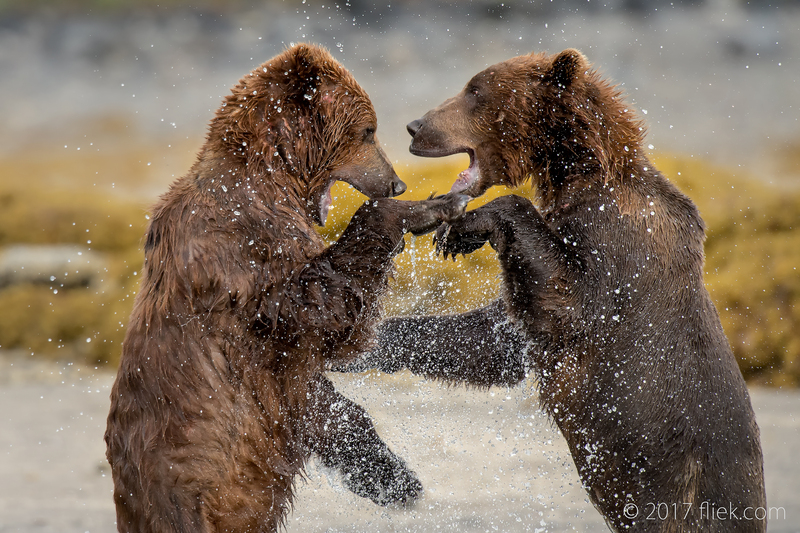 Anyway, as it was my first Alaska trip I was enjoying the whole experience anyway, when I suddenly saw these distant splashes… It turned out to be two bears who were going for a combo of morning breakfast as well as having a bit of fun with each other. I must have taken several hundreds of shots of that scene and I never actually did anything with them, until now. It will probably take me an article or 2-3 to post the the winners, which I will be working on over this holiday season. The first shot below I actually messed up: I had my exposure compensation all wrong and the image was seriously underexposed. However for a D4S bringing back the darks is like a walk in the park due to its wonderful dynamic range at low ISOs (unlike the D5 but a lot on that said already… well, let me add a link to a latest article from a well-known Nikon owner and blogger who wrote about the D5 and mentioned the challenges with its dynamic range at lower ISOs). So, after some processing I actually quite liked the pose of the bear in its setting. Nikon 500mm f/4G + TC-20E III @ 700mm on Nikon D4S, f/6.3, 1/800 s., ISO 250, -2.0 exp. comp. Nikon 500mm f/4G + TC-20E III @ 700mm on Nikon D4S, f/6.3, 1/1250 s., ISO 1800, +0.7 exp. comp.